It’s always depressing when we hear stories of dogs attacking people, more so when injuries lead to death. As always after such an unfortunate, yet statistically isolated, event there’s always a massive group of people bantering and calling for “something to be done.” In some countries, public pressure can rule death sentences for thousands of dogs. There’s also a general belief that some breeds are more aggressive than others. Is the breed or the dog’s education the dominant factor that makes it aggressive? Is a pit bull more likely to bite you because of its breed or because the owner trained him to behave this way? In a recent article for Real Clear Science, Rachel Casey a senior lecturer in companion animal behavior and welfare at University of Bristol, details her team’s findings recently reported in a paper published in journal Applied Animal Behaviour. Some 4,000 dog owners were surveyed regarding their pet’s aggressive behaviour, like incidents of growling, lunging, barking and biting. Occurrence of these stances was assessed in three distinct situations: towards family members; towards unfamiliar people entering the house; towards unfamiliar people outside the house. Characteristics for both owner (i.e. age) and dog (i.e. breed) were recorded. Their findings show that dogs generally tend not to show aggressiveness in more than one of the three situations. Thus, a dog that might be aggressive to family members, won’t be aggressive towards outsides and vice versa. This suggests that some dogs aren’t by default vicious or friendly to the bone in all situations. Casey outlines in her article that it’s important for people to understand that any dog can turn aggressive given the right circumstances. This is no reason to marginalize canines, however. Instead, being conscious about it may help people avoid stumbling into false assumption traps. The study compared breed groups in each situation with a reference category of cross-breeds. No difference in aggressiveness was observed in a family setting between pure breeds and cross-breeds. For aggression toward unfamiliar people, gundogs (hounds, retrievers and pointers) had a reduced risk compared to cross-breeds, and pastoral or herding dogs (for example German shepherd dogs) had an increased risk specifically when outside the house. The difference was no more than 10%, however, between aggressive and non-aggressive dogs. Different breeds vary in behaviour, and any dog owner or knowledgeable person can attest this fact. 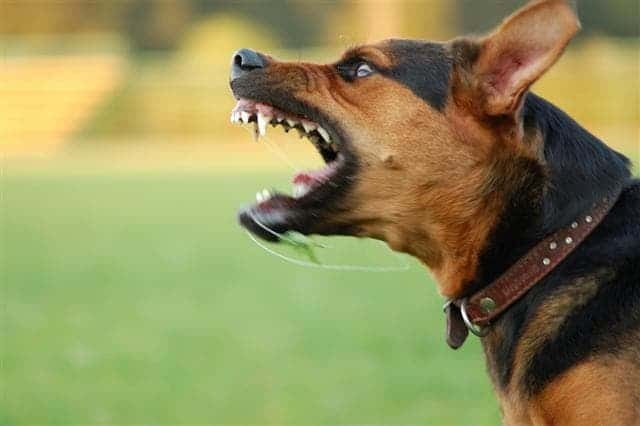 The limited research carried out in this respect, however, so far shows that in evaluating aggression risk for an individual dog, there are more important factors to consider than its breed. Even so, considering all dogs are more or less equal in their innate aggressiveness and this behavior is most heavily dependent on its environment (owner), are some of the existing policies that ban certain large breeds warranted? The idea is that a nutcase owner might turn his dog into a munching machine whether its a chihuahua or a rottweiler. The key difference is that the latter has the power to rip you to shreds. Casey claims there is no hard evidence suggesting this practice works, reducing the number of injuries. “Policy should instead focus on the factors that influence the risk of aggression in the first place. Most people object when governments take the approach of banning things – imagine the cries of “nanny state” if fast cars were banned from the roads on account of their greater likelihood of causing injury than less powerful vehicles if driven irresponsibly. In reality, society takes the approach of reducing the risk posed by all drivers, regardless of what car they drive,” says Casey. “Every new driver is given a thorough education, which is bench-marked by a standard theoretical and practical driving test. We have well-established, and largely accepted, codes of practice that govern drivers’ behaviour to reduce accident risk, and laws to enforce them. It would make sense to take the same approach for reducing aggression towards humans in dogs,” she continued.